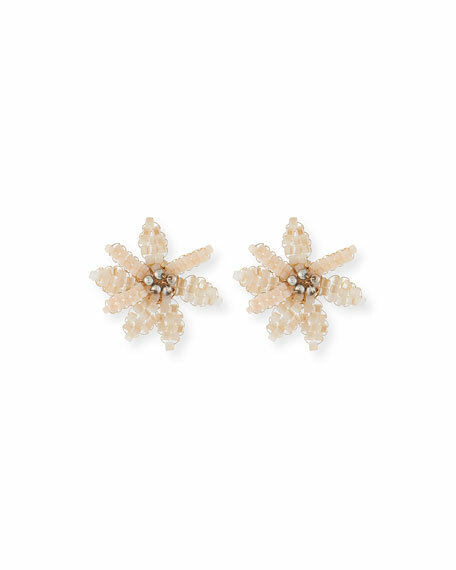 Tahiti floral stud earrings by Lulu Frost. Floral motif with pink glass crystal pavé. Stainless steel post backs for pierced ears. For in-store inquiries, use sku #2531401.